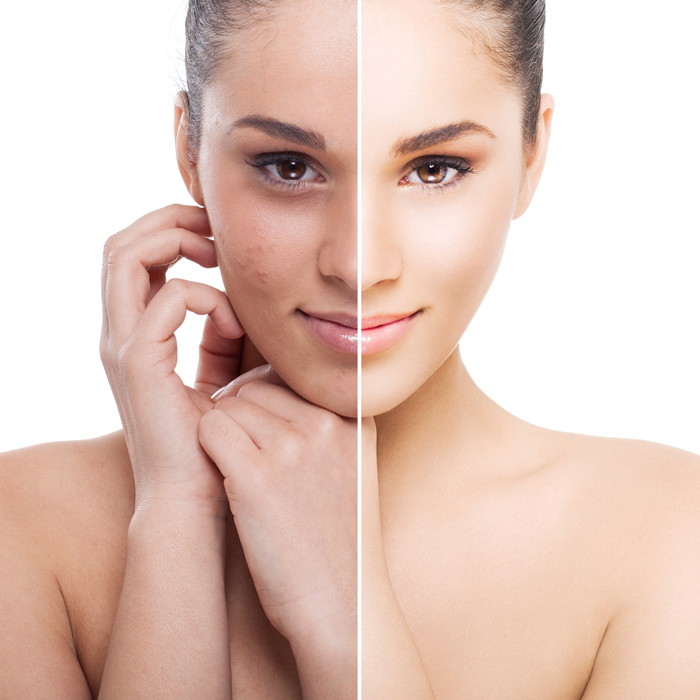 Hyperpigmentation or dark, discolouration patches can be as a result of chronic sun damage, melasma, or post inflammatory hyperpigmentation (discolouration left behind from past breakouts). While all equally frustrating to deal with, they have different sources and need to be treated as individual cases. Dr Nicole Clement and her team with evaluate individual cases of uneven pigmentation as misdiagnosed cases can lead to elevated issues if not treated properly. Typically patients can expect to take part in prescribed home care products to help with these issues along with professional treatments to achieve a clear and even skin tone.